The elaborate plans drawn up by the BJP to commemorate Atal Behari Vajpayee’s memory include the immersion of his ashes in hundred rivers across the country, kalash yatras in various states and prayer meetings at the state and district headquarters. The purpose of this exercise is to cash in on Vajpayee’s popularity in the year-end elections in Rajasthan, Madhya Pradesh and Chhattisgarh where the BJP chief ministers are facing anti-incumbency. However, if reports from poll-bound Chhattisgarh and Madhya Pradesh are anything to go by, the BJP’s gameplan may well backfire. Senior BJP leaders and workers have failed to observe the solemnity of the occasion. There have been several instances when they have been caught chitchatting, laughing and joking with each other at these memorial programmes. Most of them have also been poorly organised. For instance, Vajpayee’s relatives in Gwalior were not provided official transport when his ashes were brought to the city for the people to pay their last respects. The local media has been highlighting these lapses, much to the embarrassment of the state governments. When veteran Congress leader Motilal Vora was relieved of his responsibilities as Congress Party treasurer last week, it was felt he may take it amiss as he has been handling the treasury for nearly two decades. Not just that, but he is among the few Congress office bearers who comes regularly to the party office and interacts diligently with workers and other visitors. But the 90-year-old Vora is not complaining as he has been re-designated as Congress general secretary and given charge of administration unlike his colleagues like Karan Singh and Janardan Dwivedi who were not accommodated in any position after they were removed as party office bearers. This also means that Mr Vora will continue with his old job of allocating rooms to the growing tribe of party functionaries and generally keeping vigil on the party premises. In fact, Mr Vora made a conscious effort to let everyone know that he is not unhappy with the change in portfolio. A cheerful Vora made a host of phone calls to Muslim party leaders and mediapersons to wish them Id Mubarak. Many newcomers were also included in the list this time, to ensure that his message gets across. The outspoken and irrepressible Congress leader Mani Shankar Aiyar was suspended last December when he called Prime Minister Narendra Modi a “neech kisam ka insaan” just ahead of the crucial Gujarat Assembly polls. Congress president Rahul Gandhi had publicly disapproved of Mr Aiyar’s remarks but the damage was done as the BJP was quick to accuse the Congress of being feudal and arrogant. Last week, his suspension was revoked quietly and without much fanfare. A day later, Mr Aiyar was spotted at Jawahar Bhawan where former bureaucrat and governor Gopalkrishna Gandhi was conferred the Rajiv Gandhi National Sadbhavana award in the presence of former party president Sonia Gandhi and former Prime Minister Manmohan Singh. Mr Aiyar, however, chose to keep a low profile at the function. Instead of looking for a seat in the front rows, he preferred to be a backbencher and sat in the company of journalists. The Congress leader did not socialise with other party leaders and refused to be baited by mediapersons who pursued him for his reactions on India-Pakistan relations, Imran Khan and Navjot Singh Sidhu’s hug controversy. Having learnt a bitter lesson last year, Mr Aiyar remained unmoved. “I’m not saying anything… thanks to you I got into trouble last time,” he remarked. It is to be seen how long Mr Aiyar can stay away from the cameras. 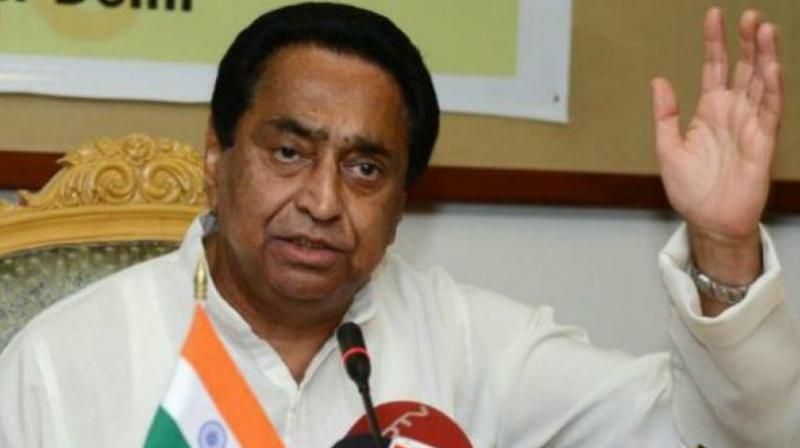 When senior Congress leader Kamal Nath took over as president of the party’s Madhya Pradesh unit in May, it was widely expected that he would unite all the warring factions, energise the rank and file and revive the moribund organisation in the run-up to the year-end Assembly polls. But four months later, the fragile show of unity in Madhya Pradesh Congress has started unravelling as infighting has resurfaced while the earlier enthusiasm displayed by the party cadre is on the wane. Instead of leading from the front, Mr Nath is barely seen in the field. He is an infrequent visitor to the party office in Bhopal, is not easily accessible to workers and has hardly addressed any major public meetings. He has been busy seeking divine help for the upcoming polls, having visited at least half-a-dozen temples during the past few weeks. He was last spotted reciting the Hanuman Chalisa at a temple. Little wonder then that party workers have been complaining that he makes more trips to temples than to the Congress office.